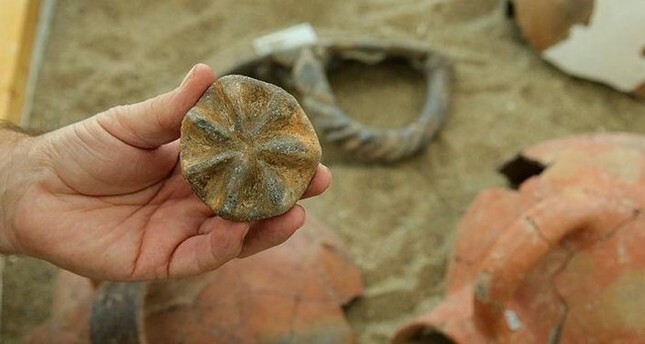 The circular seal, measuring seven centimeters (2.75 inches) across, was found in Yeşilova mound, the oldest human settlement area in the province of Izmir. Archeologist Zafer Derin, who heads the excavation team, told Anadolu Agency that the seal is important for both its large size and its design. He said the seal's purpose will be better understood after it is examined in detail by a microscope.